Tax policy is at the forefront of the political discourse in the United States. Corporate tax avoidance, IRS alleged targeting of political groups, and the administration of the Affordable Care Act through the Internal Revenue Code are just a few examples of the centrality of tax policy to the political process in the United States. This colloquium differentiates itself from similar workshops by strongly emphasizing such tax issues of current relevance. 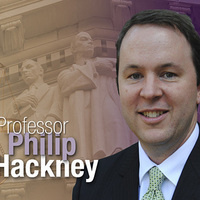 With Philip Hackney, law associate professor, Louisiana State University.